A wax museum hires a writer to give the sculptures stories. The writer imagines himself and the museum owner's daughter in the stories. Extremely rare work of Robert Wiene. From the director and year of excellent "The Cabinet of Dr. Caligari" this work was eventually overshadowed by the success of Caligari. It has a dreamy atmosphere, like another world or something. Decent silent horror melodrama with a tour de force performance from Conrad Veidt. Interesting and well made German silent version of Maurice Renard's novel "Les Mains d'Orlac" from the same folks behind the highly regarded expressionist classic THE CABINET OF DR. CALIGARI (1920). 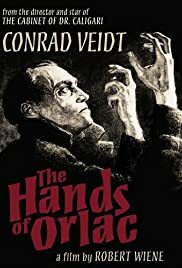 Conrad Veidt gives an outstanding, creepy and memorable dramatic performance as the tormented Orlac, a famous pianist whose hands are replaced by those of an executed thief and murderer after a train accident. He soon begins to think he's not only received a maniac's hands, but also his desire to commit crimes. The cavernous and sparsely decorated interiors as well as the typically exaggerated performances often give this the feel of a theatrical production, and while the movie is a little overlong and slow-going (definitely requires a more patient type of viewer to appreciate it), it's still worthwhile for Veidt's amazing performance, some nice visuals and a surprise twist ending. I also need to point out that the Kino DVD of the film runs 110 minutes, though it is listed here as running just 98. 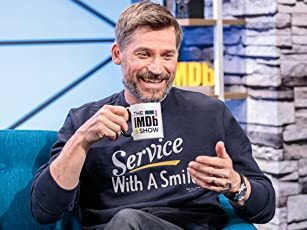 Bonus features on the disc include scene comparisons of domestic and international cuts, excerpts of Renard's Novel, an essay by author John Soister, a trailer and an image gallery. The same tale would later be the basis for 1935's MAD LOVE (starring the inimitable Peter Lorre) and 1960's THE HANDS OF ORLAC (starring Mel Ferrer, and also with supporting turns from Christopher Lee and Donald Pleasence), as well as the uncredited basis for 1962's HANDS OF A STRANGER and several other films.